← What can Professional Home Health Caregivers do for you? It’s not always easy to ask for help from other people when taking care of a loved one. We want to do it all. For some, admitting that you need help is like an admission of defeat that you’re not good enough, qualified enough, or so forth. 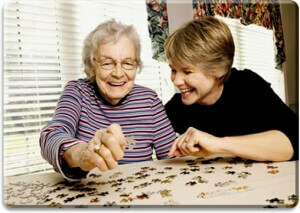 Optimumcare Home Care understands and acknowledges the challenges and burdens of providing care for a loved one. Often, the spirit is more than willing, but time constraints, personal family and work obligations, and sometimes even physical strength can interfere with your ability or desire to provide quality, compassionate, and patient care for a loved one. We urge all of our families of loved ones requiring care not to feel guilty about being unable to provide everything that is needed. After all, there is only so much time in the day, and there is only you. Even when other family members step in, it could still be challenging to provide round-the-clock care or supervision for a loved one based on their needs, mental cognitive levels, physical needs, and so forth. Caregivers provided by Optimumcare Home Care are dedicated to providing high quality, compassionate, patient, and friendly services to our clients, regardless of their needs. Whether a loved one needs help round-the-clock or only a few hours a week, we’re here. Our services are not a one-size-fits-all, but are catered and developed based on individual needs and desires. Our caregivers are able to provide one or two services as needed, or the full gamut, which can include transportation, meal preparation and planning, shopping, transportation, help with bathing, grooming, and dressing, safety supervision, medication oversight, and more. You don’t have to do all of this alone. The growth and prevalence of home health care agencies in the country is due to the fact that greater numbers of elders than ever before are opting to remain at home or “age in place” for as long as possible. Home health care agencies and care providers are able to step in and be there for your loved one when you can’t be. After all, you need to take a break and take a step away from caregiving scenarios once in awhile for your own emotional, mental, and physical health and well-being. A tired care provider is not able to provide the high quality and focus care that a loved one may need. Weariness, illness, and stress may have a detrimental impact on your physical health, emotions and patients but it may prove more harmful to your loved one.